The Heritage Collections of the Royal College of Surgeons in Ireland contain unique material relating to the history of medicine in Ireland and abroad. The collections touch on medical, social, historical and personal events that have taken place over the last 250 years and include archives, manuscripts, pamphlets, portraiture, medical instruments and furniture. 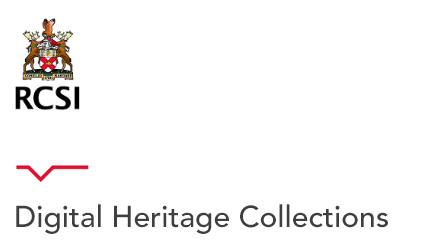 See Heritage Collections for more information. Our Digital Heritage collections are currently expanding in content so watch this space!